CENTRALIA, Mo. (AP) — Missouri Gov. Jay Nixon is planning to hold a summit to brainstorm ways to beef up the state's cattle industry. Nixon announced the summit during a Wednesday visit with Future Farmers of America members at Centralia High School. It's meant to find ways to expand the industry and spur economic development in rural Missouri. 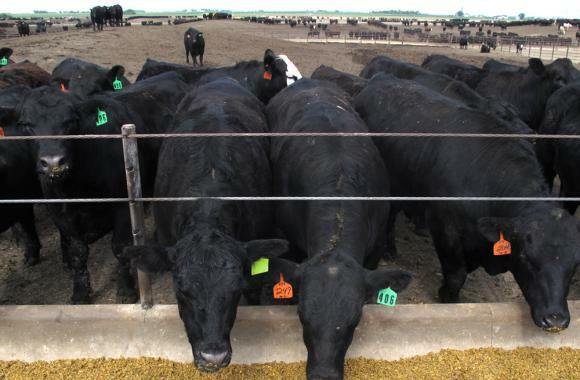 A statement from the governor's office says Missouri is ranked second for its large numbers of beef cows, but 95 percent of the cattle are finished and processed in other states. Industry stakeholders will meet Jan. 5 at the University of Missouri-Columbia. Cattle genetics experts from the university, national beef packers and cattlemen will speak at the summit.